This episode is short but important. 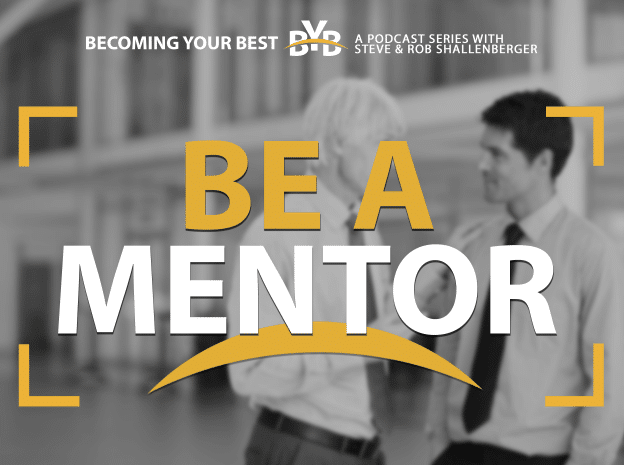 It’s both an invitation and a challenge: In the next week, find someone to mentor. That’s right—wherever, whoever he or she is, reach out. It can start with an email, a phone call, a simple chat. Just make that first step. Why is this our topic today? Well, on a recent trip abroad, my father and I were walking through a neighborhood of extreme poverty, and it got us thinking: How do people break negative cycles, transcend barriers, and create real change in their lives? In the days that followed, I considered the examples I knew of people who overcame tremendous challenges in the midst of adversity. And do you know the common thread I realized in them? They all had a mentor of some kind—a person that gave them a spark of hope and a sense of possibility. Now it’s our turn to be a spark for someone. In this BYB episode, you will . . .